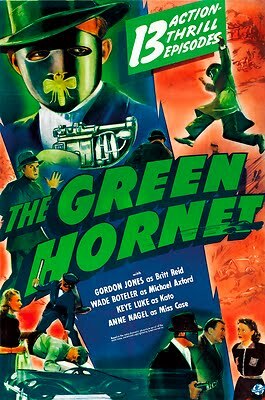 Hero Histories: Video Fridays: THE GREEN HORNET "Tunnel of Terror"
Video Fridays: THE GREEN HORNET "Tunnel of Terror"
It's time to take a look at the ORIGINAL film Green Hornet in his origin episode from the 1940 Universal Studios serial starring Gordon Jones as Britt Reid/Green Hornet and Key Luke as Kato! While his full-face disguise looked different from the radio and comic version's surgeon-style mask, the characterization and plots were based on the radio show. 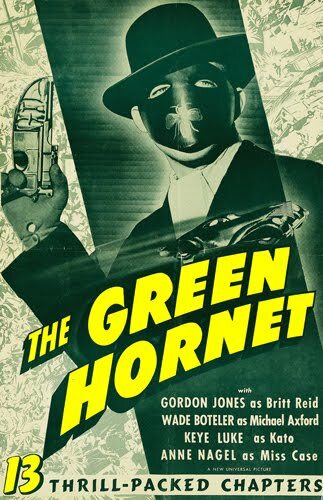 And, when masked, the movie Hornet sounded like the hero of the airwaves...because radio Hornet Al Hodge's distinctive voice was dubbed whenever newspaper publisher Britt Reid was masked! All the supporting characters from the radio show made it to the movie version. In fact, Kato received more time on screen than he usually got on the radio, as his scientific genius and other talents (including karate) were emphasized. Oddly, in this incarnation, Kato was now Korean, not Fillipino or Japanese! Enjoy "Chapter One: Tunnel of Terror"
YouTube provider LuridPlanet has posted the entire serial HERE. Or you can download it in a variety of formats HERE.